The US presidential election has been done with for over two months, and the clear winner, we’re told, is China. China, readers of various newspaper and media sites are informed, is moving into the vacuum created by the anxiety and uncertainty produced by President-elect Donald Trump’s policy statements, tweets, and pronouncements. 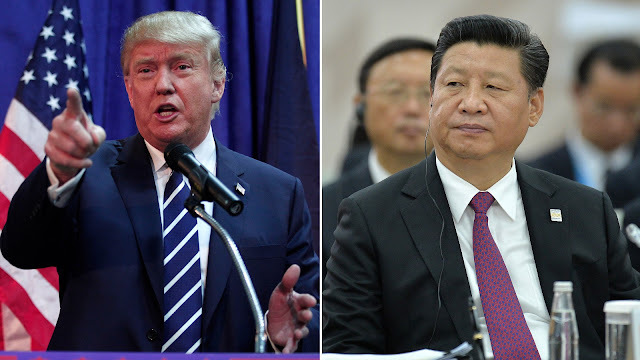 The Modern Middle Kingdom is looking to guide the world in climate change initiatives, renewable energy programs, high-speed rail and other infrastructure, health care, education--pretty much everything that Trump is looking to subvert or slaughter, the story goes. The world isn’t looking to Washington any longer for leadership, readers are told, but to Beijing, and President Xi Jinping’s presence in this year’s summit in Davos is proof. But such conclusions aren’t prognostication; they’re projection—in the classic psychological definition, wherein someone attributes to others qualities that they see themselves as lacking. And the reason one can be sure that’s the case here is that China's leaders haven’t said they’re ready and willing to steer the world in place of the United States. It’s understandable that Americans et al are concerned about losing status and face to Beijing as Trump tries to upend tradition through Twitter, just as it may make sense for Beijing to move at some point into the breech being generated by Trump’s lack of restraint. And it might be strategically sound for Xi and his comrades to seek to take advantage of the opportunity afforded by Trump's missteps and broadcast that they’re set to assume a leading role in global affairs. But that’s not happening yet. The usual suspect sources of State media that are regularly cited by many international media outlets—China Daily, the English version of Global Times, English-language websites of Xinhua and the like—are, at long last, carrying commentary decrying Trump’s tweets and statements about Taiwan and One-China. But those outlets are designed for foreigners to read, not China’s party cadres or Chinese citizens; they’re placeholders in lieu of actual instructions to officials and the public about the Party line. Chinese officials don’t pay attention to those editorials because they know that they don’t have to. Major television news programs are starting to talk about Trump and dismiss some of his more outlandish statements; yet nowhere are there signs or statements from Chinese officials that they plan to, say, introduce a new strategy for bringing peace to Syria, or want to convene a global summit on climate change. For all the claims that China is blazing new paths where renewable energy is concerned, there’s ample local evidence arguing against that view. China is still far the follower, reluctant to step out in front for all sorts of important reasons, including the depth of its own domestic challenges. Far more important in this context of what Beijing thinks is that the authoritative outlets here in China (Peoples’ Daily, in particular) have been reticent to comment on Trump. That’s not a strategy by Beijing to bide its time, but a clear sign that there’s a lack of consensus in China’s leadership about how to cope with the soon-to-be new American chief executive. Officials here depend on Party media to instruct, and thus far there have been no clear directives provided to them. Indeed, what little is known about the reaction in China’s inner policy circles (and there’s very little known, despite claims to the contrary) suggests that advisers here are scrambling to try to find out whether Trump is just talk. The fact is, Beijing still doesn’t quite understand Trump, and elites and advisers here are still debating how to respond. China's policymaking system is like that when confronted with the unfamiliar—not nearly as decisive as outside observers believe, and prone to conflict more than consensus. The latter so far is proving hard to come by. That’s the real story: Not that China’s leaders are ready to take command and interested in doing so, but that they may in fact be neither.